NZ – when are we getting these??? Last year when we were renovating the Lodge I searched high and low for built in night-lights. I know someone who usually goes to the toilet once during the night and I wanted to hard-wire in some night lights in the hallway and bathroom. Surely I’m not the only one trying to solve this problem… But I couldn’t find anything, so resorted to a plug in night-light (like some silly after thought). 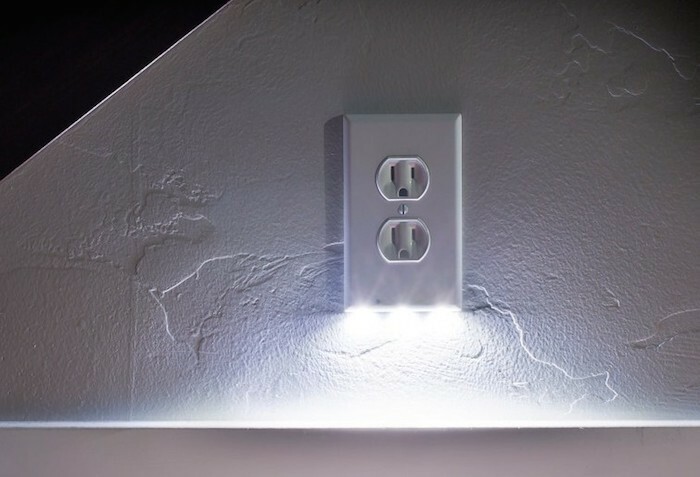 These power points from SnapPower in the good-ol’ USA introduce LED’s into a power socket (with light sensor). Great idea – when can we buy a NZ version ??? You and me both, just did a NZ Google search on the off chance to see if they existed here and found your site. TBH they look fairly easy to DIY, all you need is a faceplate, drill, some LEDS, Arduino nano + sensors and some wire… in theory….